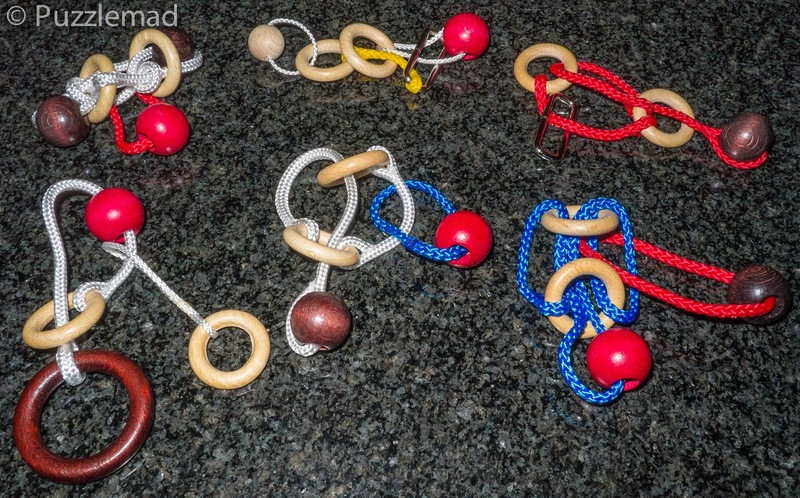 Puzzlemad New Additions: I just can't resist disentanglements! I just can't resist disentanglements! I won these on a Puzzle Paradise auction from none other than Tom Jolly. These are "Six Serpentine Strings" designed and made by Markus Götz for exchange at IPP 29 in San Francisco. I've solved the first 4 so far and have really enjoyed the process. Rather different from what I've seen before.